Your roof protects you and your family from the elements. When you need to replace it, it will take some work. While you can expect your roofing contractor to take the bulk of that work, you can help make the process easier. 1. Clear up enough floor space. Roof replacement projects will take up a lot of floor space for all the materials and tools used in the installation. Clearing the area will save time off this phase of the installation. This also allows you to protect and keep safe those areas of the home that are most important to you. It always pays to be prepared when it comes to budgeting concerns. First, make sure that you and your roofing company are clear on the costs of the project. Second, verify for any expected extra costs that might arise. As one of the most reliable roofing companies in Michigan, we’ll be more than happy to set your expectations properly. 3. Let your neighbors know. 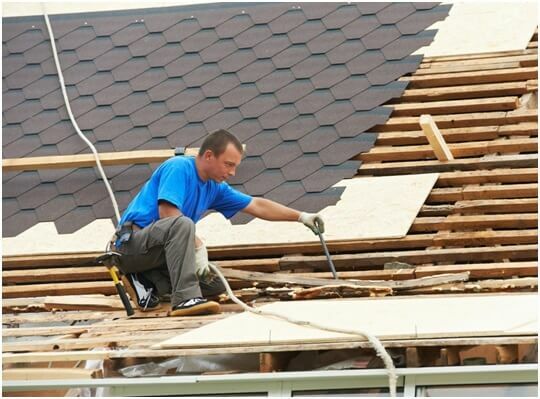 Roofing replacements can get noisy and dirty. Be sure to inform your neighbors beforehand. This will surely give them time to prepare. This will go a long way to removing tensions early on. 4. Take the time to research. Lastly—, make sure you know exactly the material you choose for your roof. Each material has its own unique benefits; it helps to know the best fit for your area’s particular conditions. We’re only happy to help you out here by detailing all that we have to offer. At Kroll Construction, we take pride in providing reliable home improvement services. Our range of roofing products and services will surely make your home more beautiful and energy-efficient. To know more about our roof replacement process or to schedule a free consultation, call us at (888) 338-6340.